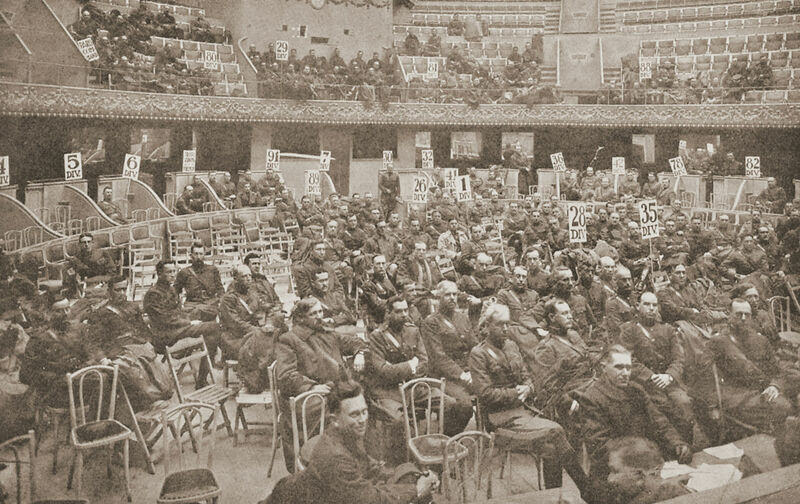 Founded a few months earlier, the American Legion hosted its first national convention on this date in 1919. Nominally an organization for veterans of the Great War, the Legion quickly morphed into a reactionary group that pressured politicians and spurred American politics to the right. As Nation associate editor Arthur Warner wrote in this piece from 1921, “The Truth About the American Legion,” the group’s whole purpose was to keep the country from returning to a peacetime mindset. In that sense, we live today very much in the world they created. By the Constitution of the United States three branches of government were established: the legislative, the executive, and the judicial. In the last two years a fourth has been set up: the American Legion. Organized ostensibly to continue the friendships that developed in the fighting forces and to advance the legitimate interests of former service men, the Legion has grown away from that into a super-government. It gives orders to public officers and is fearfully consulted by them; it is accorded quasi-official standing through the privilege of occupying government buildings…; it has established a censorship of public meetings and by actual or threatened violence suppresses freedom of speech; it is attempting to dictate instruction in our public schools and pass upon the qualifications of teachers; although nominally non-political, it has actually sponsored a host of bigoted and repressive laws and policies, impeding the return of the rest of the community to a more normal existence. Elsewhere, we are slowly yet noticeably demobilizing our intolerant 100 percentism, deflating our hysterical super-patriotism. Not so the American Legion, which is attempting to perpetuate the war psychology as its contribution to peace.